Is it time to hit the panic button about the iPhone 8? No, not at all. Because Apple already hit it last month. Writing for Fast Company, Mark Sullivan describes the indescribable horror. The problems, Sullivan claims, revolve around the implementation of wireless charging. John Gruber’s take is probably more on the money. …everything I’ve heard suggests it’s the same as usual at this point in the summer: busy down to the wire, yes; frantic panic, no. 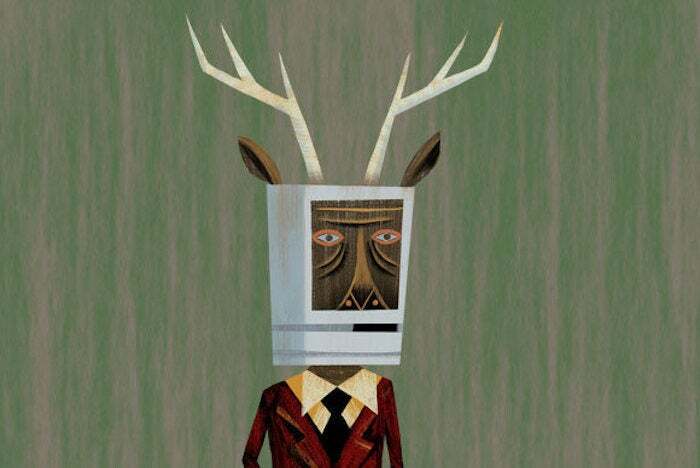 The Macalope is sure Apple doesn’t love delaying features until software is ready, but they’re also no stranger to doing it. Lower integers come before higher ones. Write that down. The Macalope knows there’s a lot of math you were forced to learn in school that you never use in real life but, trust him, you can use this all the time. The iPhone 8 is not the “next” iPhone. The iPhone 7s is the “next” iPhone. Pundits love, love, love to pretend Apple is going to try to charge everyone hundreds of dollars more to buy an iPhone this year. It is not. Sullivan doesn’t even mention the iPhone 7s until paragraph 16 and before that repeatedly refers to the iPhone 8 as “the next iPhone”, “the upcoming iPhone” and Apple’s “new phone”, as if it’s the only device they’ll be announcing. It was not that long ago—just three months—that pundits were bemoaning the fact that the iPhone 8 was likely to be “late” and come in November, after the release of the iPhone 7s. Somehow it is both late, coming after the iPhone 7s but before it would normally have been announced in September of 2018, and the “next” iPhone. However, it is in no way the “next” iPhone, unless the linear nature of time has collapsed. When Sullivan does finally get around to mentioning the iPhone 7s, it’s in the context of choice now being a bad thing. That no man’s land is an unhappy place to put an erstwhile faithful Apple buyer, and it could lead to some defections, probably to Samsung. Choice always drives people to leave a platform. You can’t argue with that. Because you can’t argue with things that come straight from the R&D department of H.R. Unicycle Monkey Bananas, Inc. It’s impossible. Many of them aren’t even complete sentences. That one prototype drove anyone who looked at it insane. So, no, the Apple world is not spinning out of control and hurtling into the sun. Despite what you may have read.